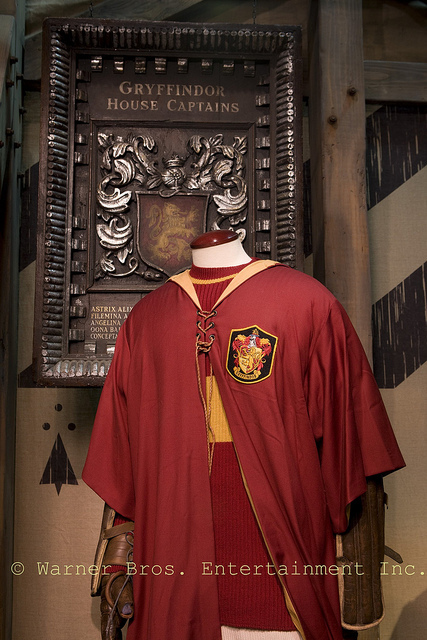 Gryffindor™ Quidditch™ robes worn by Oliver Wood in the Harry Potter and the Chamber of Secrets film. 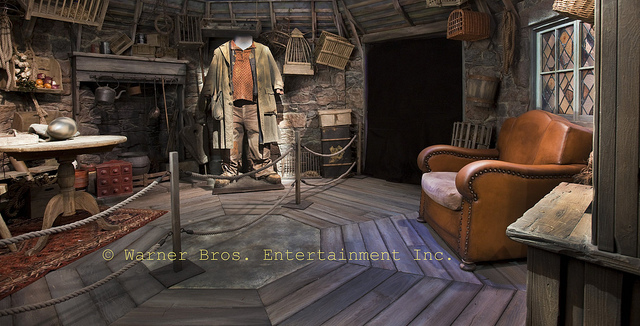 Harry Potter™ and Ron Weasley™'s dormitory room. 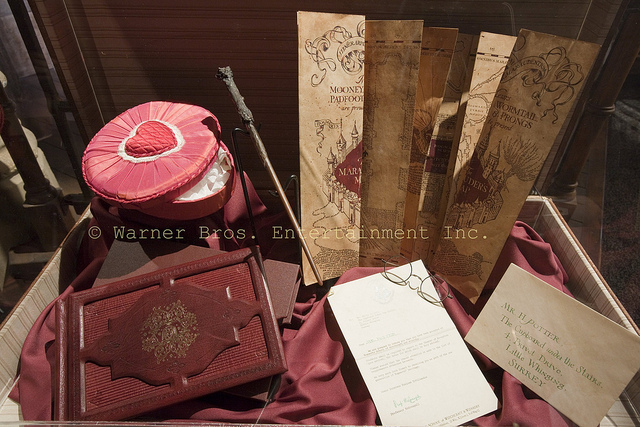 Harry Potter™'s wand, eyeglasses and the Marauder™'s Map that was given to Harry by Fred and George Weasley in Harry Potter and the Prisoner of Azkaban. 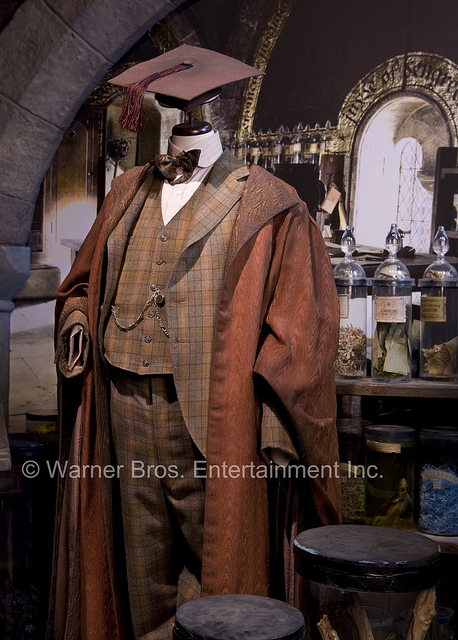 Wizard robes worn by Professor Horace Slughorn in Harry Potter and Half-Blood Prince. 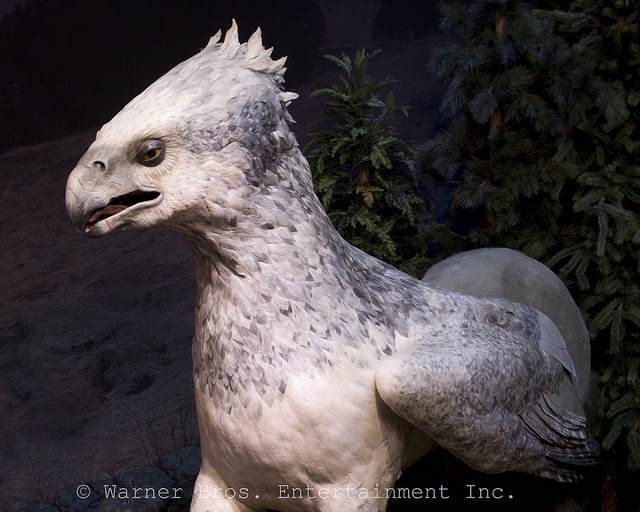 Buckbeak™ the Hippogriff™ as seen in Harry Potter and the Prisoner of Azkaban. 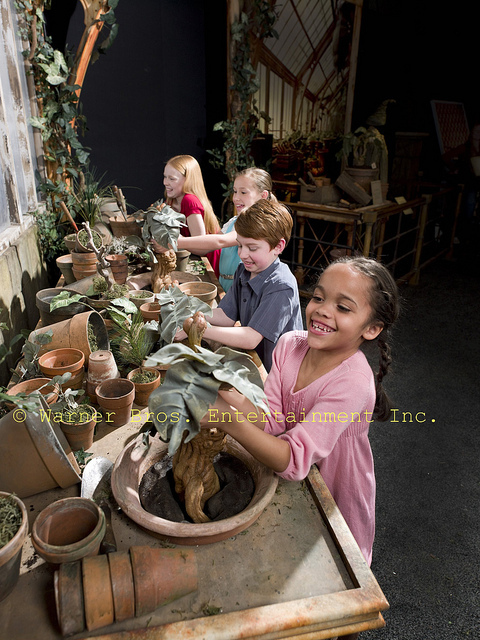 All photos except the first one are Copyrighted to Warner Bros. Entertainment, Inc. 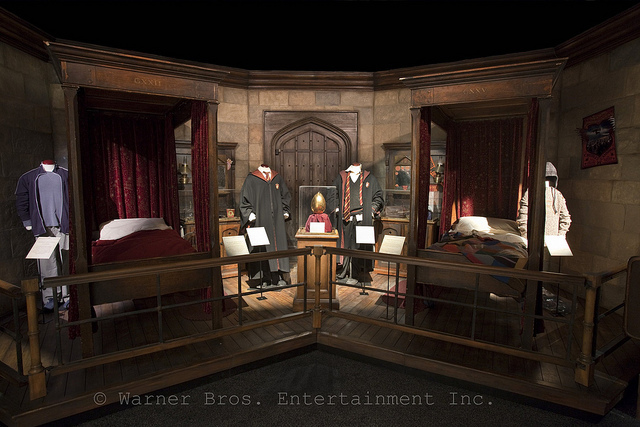 The exhibit is just amazing and shows more than 200 authentic costumes and props displayed in settings inspired by the Harry Potter™ films. The fine detail to the costumes, props and settings really make you in awe of these talented artists. The Discovery Times Square was really busy for a Saturday I arrived at 3:30pm and spent about an hour. I would suggest buying your ticket in advance as it will be much quicker to get into the exhibit. There were young and old fans which really shows how much of a span this series has had for many years. They had the picture frames with moving people, quite fun, wish they would make them for regular folks! It was also neat to see the size of the costumes of the actors, some smaller than what I thought they would be from watching the films. There is a gift shop at the end of the exhibit and the line was pretty long to purchase items ranging from the exhibit guide, many wands, gorgeous pens from each different house at Hogwarts, flying brooms (if they really worked, I would have bought one!). Overall I thought it was wonderful and for the Harry Potter fan, a must see. I never saw so many well behaved children in one place before and many were listening to the audio guide available telling them the history behind the items they were viewing. I am glad I had the chance to view the exhibit and I thank the Discovery Times Square for the opportunity. It was truly a magical experience!! 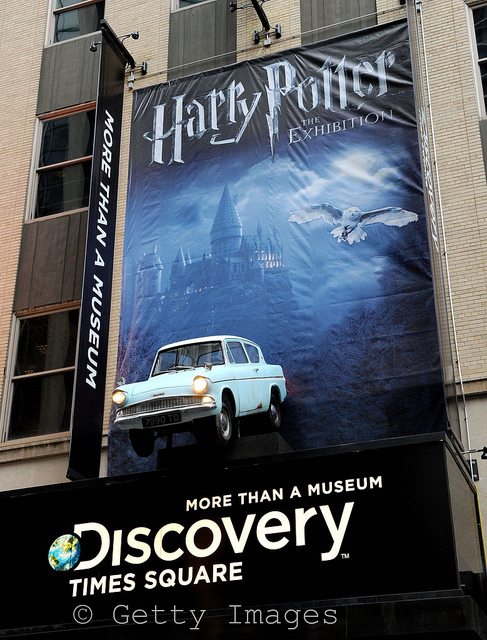 This exhibition runs until September 5, 2011 so if you are in NYC during this time, and a Harry Potter fan...make it a point to make a visit!! Tickets can be purchased HERE.